Cosy, clean, well equipped. Great view. Highly recommended in september:) Very nice and helpful host Mr. Vojko. Vojko was very helpful and flexible. The apartment was in the best place in Baška, the view was amazing. The accomodation was well equipped. If you want to take a walk, the church on the hill is a good choice. Everything was great. The beaches are close but there were lots of people so we were not able to settle down. A rocky beach was away for 4 minutes walking but worh it becauce it is relaxing and very clean with just few people. The room is great if you don’t mind the you are living above a sometimes loud pub. The windowas are great so if you close them you can sleep without any noises. Nice apartman with fantastic sea view, good equipped, very friedly and helpful owner. At arrival you call and they wait you at the harbor entrance and give a card necessary to drive in the pedestrian area direct to the house. After taking your luggage to the apartman, you can park the car at the parking lot near the bus station about 250m far. There is a very good and cheap pizza restaurant in the house, the "Ziraffe", probably the best in Baska. Very good situated place, right on the Palada street, the quay promenade. Everything is easy access from here. We are sure to come back next year. Appartment was very clean and really nice place to be at. Pizza Restauraunt was round the corner and the whole house always smacked of food. Perfect allocation of rooms and really modern design. Totally cozy Apartment. 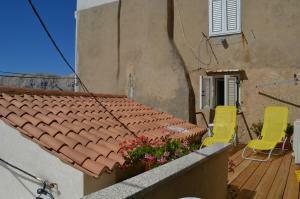 Great location, very confortable appartment, the owners were very friendly and helpful. We will come back for sure. Odličan novo uređeni apartman. Sve čisto, sve moderno, sve svrsishodno. Pogled s balkona predivan. Csodás apartman, csodás helyen, az óváros szívében, csodás környékkel. Lock in a great price for Apartments Riva – rated 9.6 by recent guests! Apartments Riva This rating is a reflection of how the property compares to the industry standard when it comes to price, facilities and services available. It's based on a self-evaluation by the property. Use this rating to help choose your stay! One of our best sellers in Baška! 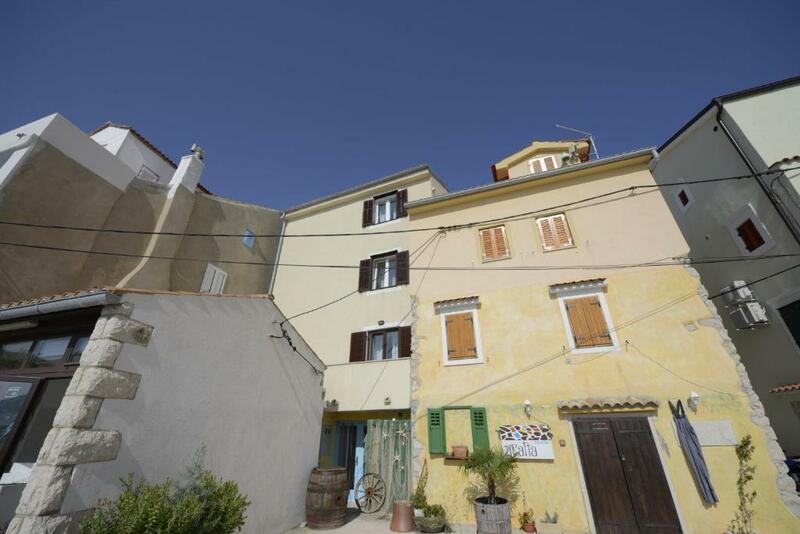 Set in Baška, Apartments Riva is 350 feet from Baška Port. 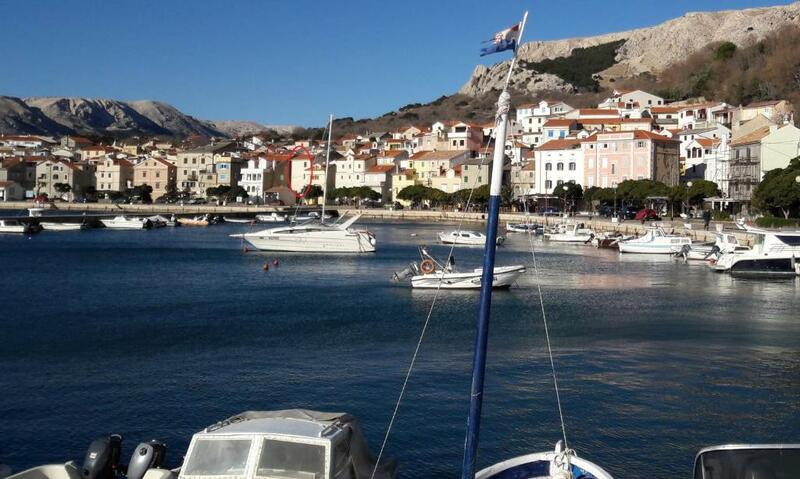 Baška Riva Promenade is 350 feet from the property, while the popular Vela Beach is 1,650 feet away. Free WiFi is provided . All units are air conditioned and have a satellite flat-screen TV, as well as a seating area and a balcony. A fridge and stovetop are also available, as well as a coffee machine and a kettle. Some units also have a kitchen, equipped with a dishwasher. Each unit features a private bathroom with a shower and a hairdryer. Towels are offered. Baška Bus Station is 1,000 feet from Apartments Riva. Rijeka Airport is 19 mi away. Free private parking is provided nearby. When would you like to stay at Apartments Riva? This apartment has a sea view, satellite TV and microwave. These are beautifully decorated apartments with a private balcony. They have a beautiful view of the sea and the port. They are located in the center and the first small beach is only 50 meters away. The apartments are spacious, located in the pedestrian zone but the owners have provided parking for guests in the vicinity. Perfect location for a perfect holiday in Baska. House Rules Apartments Riva takes special requests – add in the next step! Please inform Apartments Riva of your expected arrival time in advance. You can use the Special Requests box when booking, or contact the property directly using the contact details in your confirmation. This was a fabulous apartment. The location was perfect, the opposite end from big hotels.. nice quieter area. And even though there was a restaurant downstairs the windows kept the sound out. We enjoyed the beach to the left of the port. Was tiny, much less busy, more locals. In the apartment the stairs could be an issue with small kids, but we were ok with our nearly 2 year old. The host was sweet, arranged parking nearby and greeted us with a trolley to bring our stuff. We were able to bring the car in the morning 6-11am to get the bulk of our stuff out. So just plan with a few necessities the first evening and drive down the next morning to really unpack. The apartment had everything one needs for vacation and lots of space for our family. Loved having a living room with a comfy couch, full size fridge with freezer, oven, dishwasher. We enjoyed our whole time here. 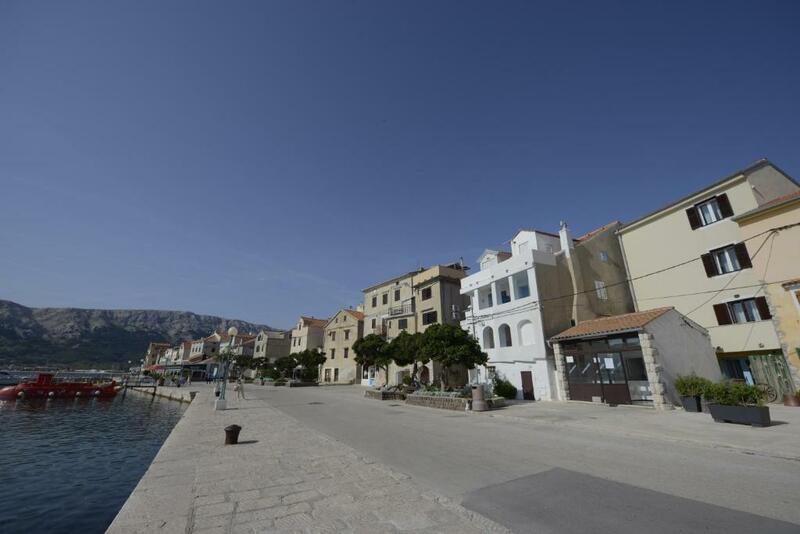 If we come back to Krk it will be to these apartments. The kids ate the crepes downstairs everyday, and we enjoyed the taquitos. There is a tiny shop very close on the waterfront (looks like a wine and cheese shop) but has the necessities. All I can say is go there. It's so lovely to wake up there! The parking was little bit exhausting because to less space in the city, so you have to carry your bags through the town to the Appartement. But it was ok anyway. Would recommend not to travel in busy season. Masses of people. I would highly recommend the apartment for families - however, not for families with kids younger than 5. There are stairs (to rooms and to front door) that would be unsuitable for small infants.